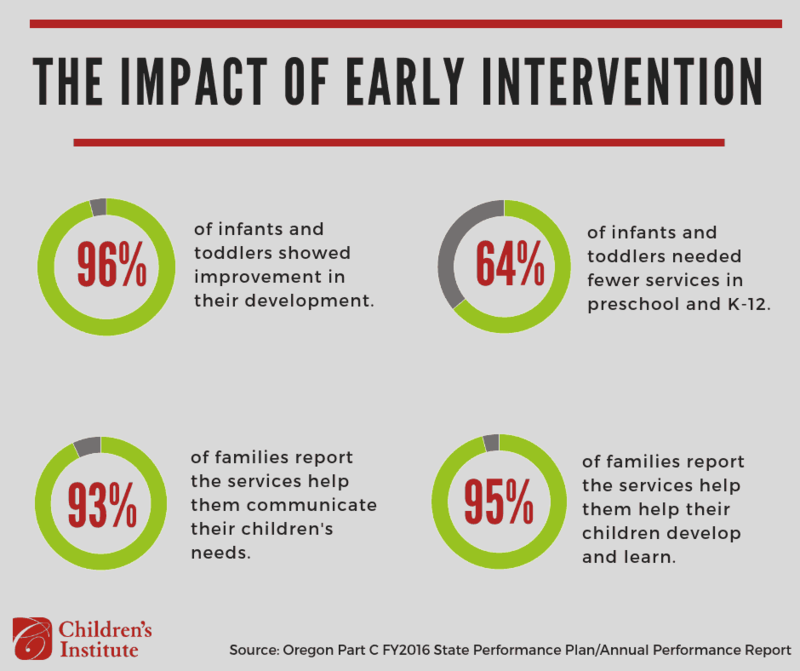 The following articles provide information on the long-term impacts of Early Intervention/Early Childhood Special Education (EI/ECSE) and the experiences of families in Oregon with these services. The New York Times: At 12, He Reads at a First-Grade Level: How New York Failed T.J.
To learn more about the need for greater investments in EI/ECSE in Oregon, check out our recent interview with FACT Oregon’s Executive Director Roberta Dunn. FACT Oregon is the only statewide, cross-disability, family-led organization providing information, training, and support to families experiencing disability, birth through adulthood. 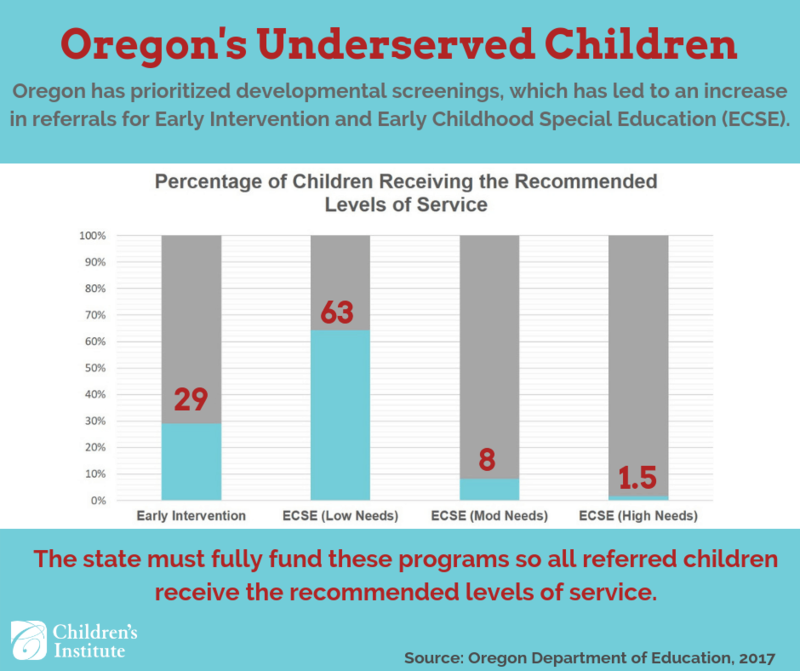 While Oregon has prioritized developmental screenings for young children, the state does not invest enough in the Early Intervention (EI) and Early Childhood Special Education (ECSE) children need once they are diagnosed with disabilities and delays. 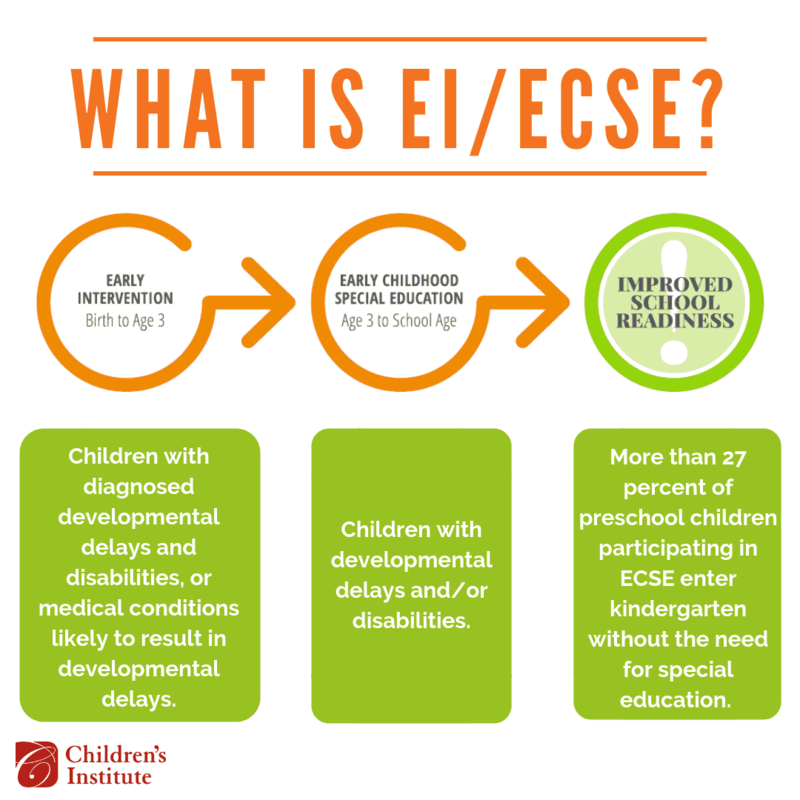 As a result, more children are referred for EI/ECSE, but most receive less than the recommended levels of service. We know that these services help children prepare for and succeed in school. Download and share any of the graphics on this page to help spread the word about the importance of these programs to our state.